This method should only be used when you need to set up different discount rules for each product – and you want to do so without leaving the edit product page. 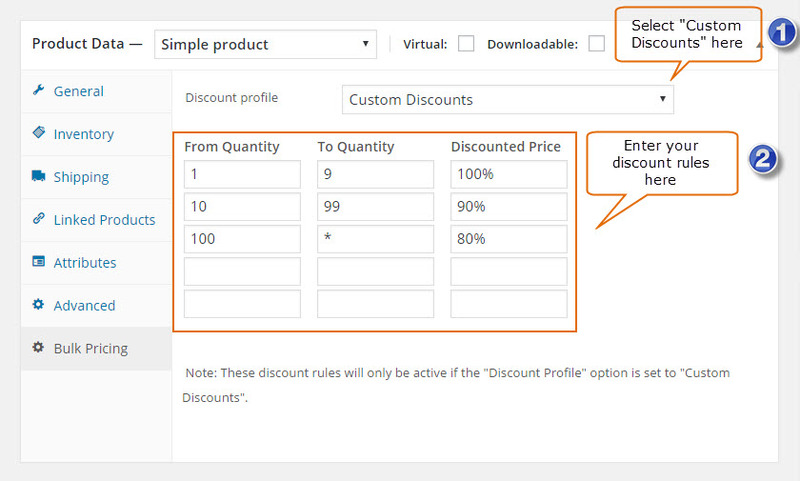 If you want to apply the same discount to multiple products, you should create a global discount profile instead. 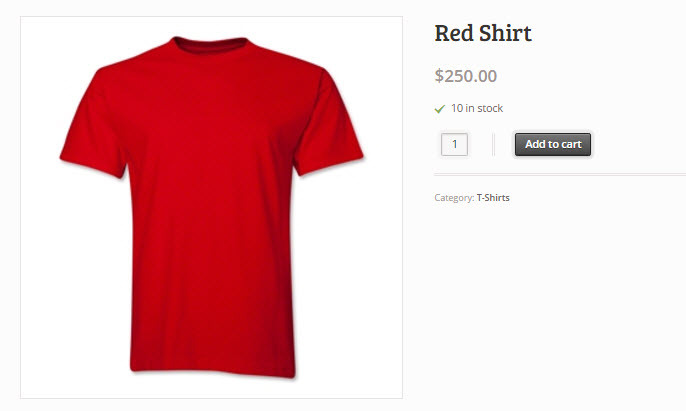 We have this “Red Shirt” for $250. Let’s say you want to give 10% discount if a customer buys 10 shirts or more – and if they would buy 100 or more, you’d even give them 20% discount. Visit the product page and scroll down to “Product Data”. In the “Bulk Pricing” tab set the “Discount rules” to “Custom Discount”. Click “Update” when you are done. Please refer to Creating bulk pricing rules for more examples.